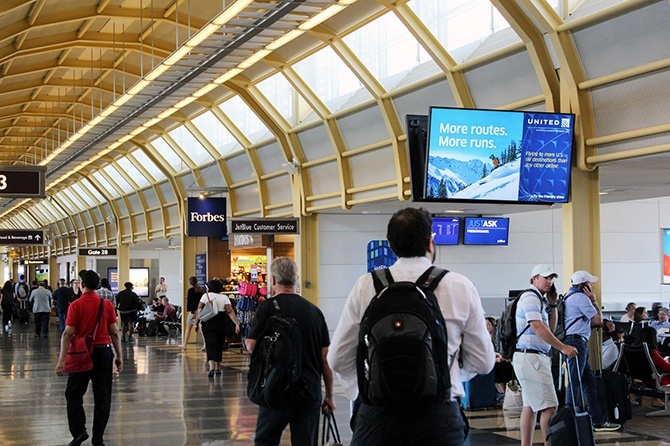 Airline passenger traffic is up 7.3% year over year. 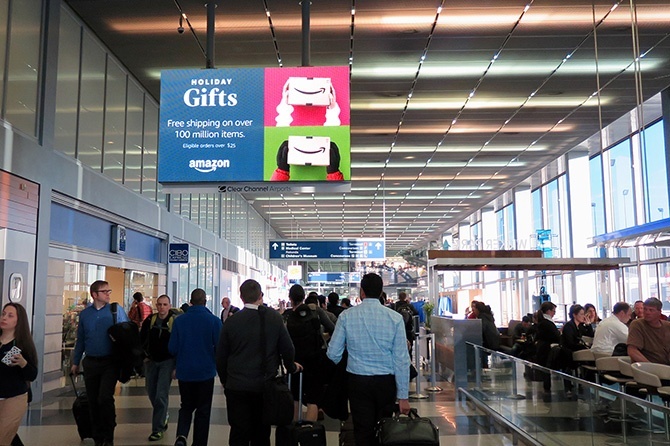 The largest growth in holiday travel is by air, at 5.4 percent, with 4.27 million travelers. 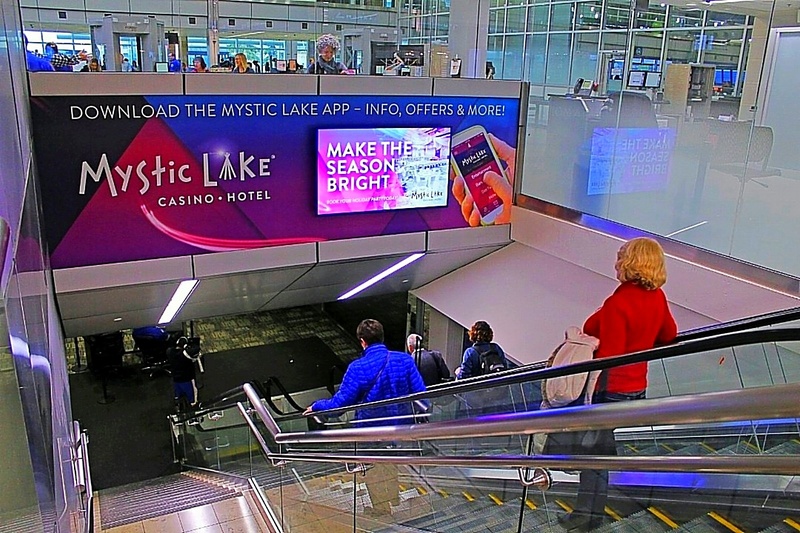 In 2017, 28.5 million passengers traveled on U.S. airlines during the 12-day Thanksgiving air-travel period, and 51 million passengers flew on U.S. airlines during the last three weeks of December. 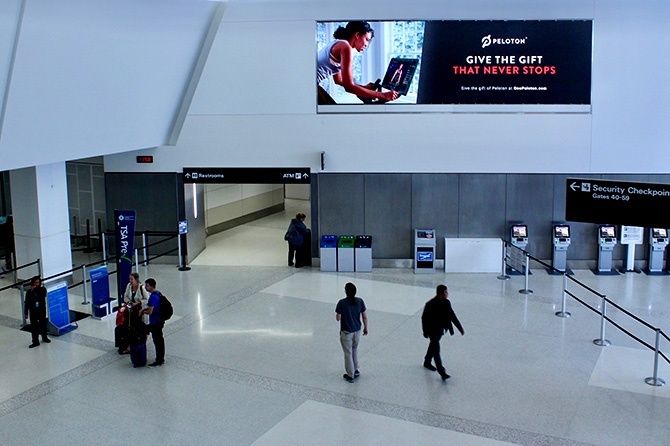 On average, travelers spend about two hours at the airport prior to departure. 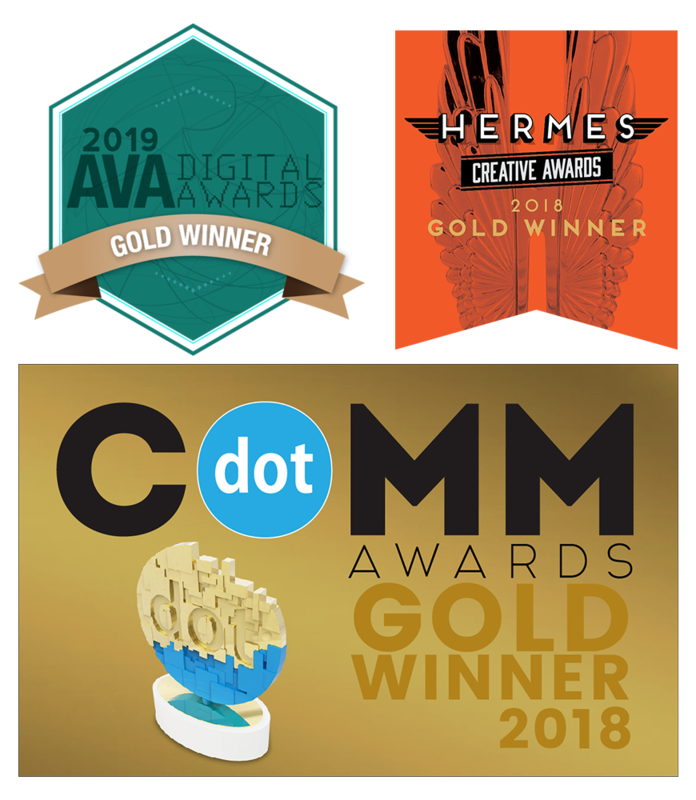 This dwell time is key to capturing the attention of more than 40+ million passengers who pass through Clear Channel Outdoor’s most trafficked airports in December. 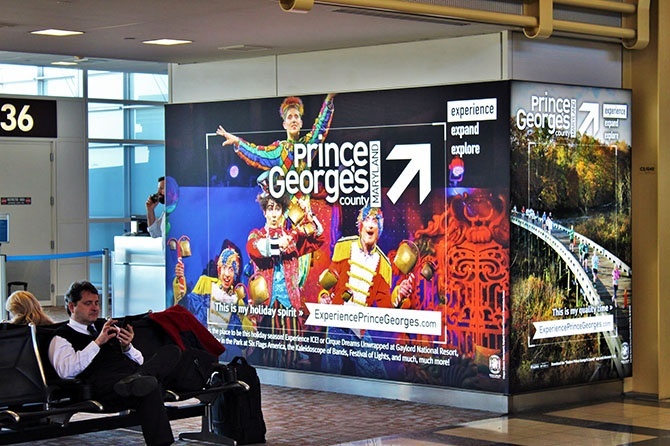 Brands can make use of ad displays that come in every shape and size imaginable, suited to each airport's unique landscape. 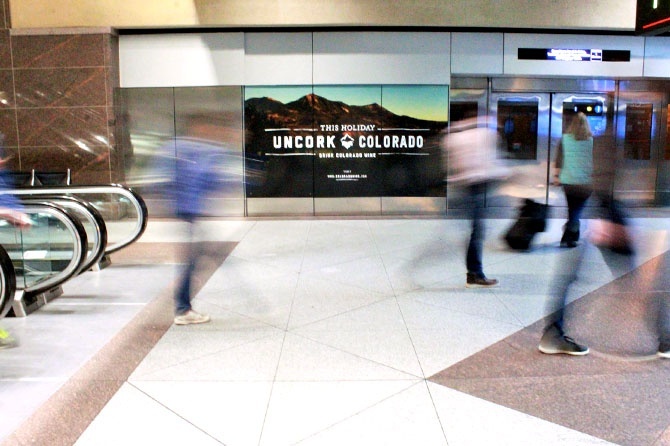 Some go BIG and bold with banners and wraps, designed to dominate the space and offer inescapable visibility, like the shuttle doors at Denver International Airport—how else are you going to get to your gate? 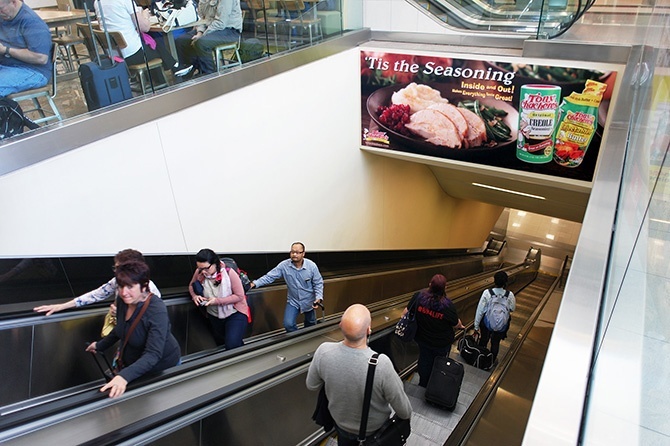 And one who enters the airport must leave (eventually), but not before thinking about what sides are needed—and yes, seasoning, too! 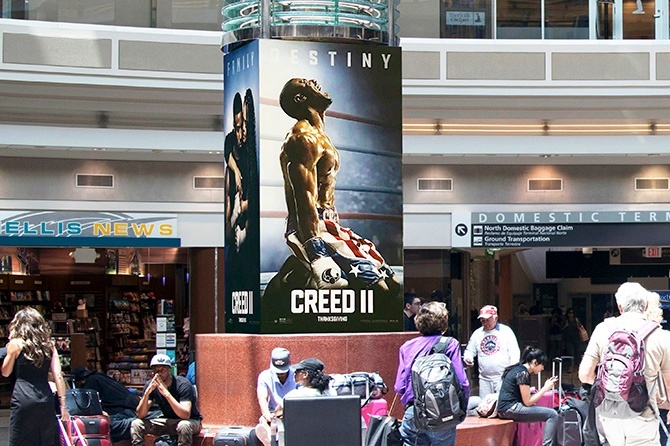 While we can't share the full spectrum of airport display offerings in just one blog post— visit Clear Channel Airports for more examples and locations, and place your campaign in front of this captive audience this holiday season!